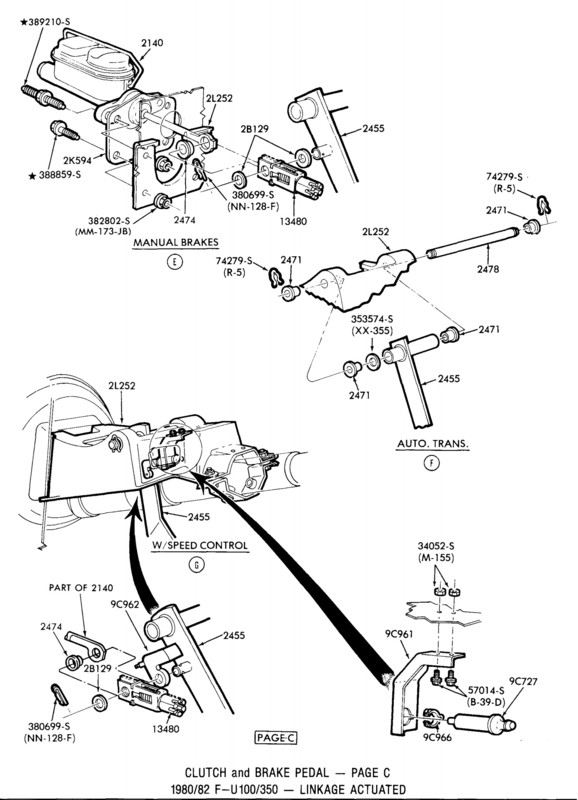 Illustrations and part #'s for the clutches as well as clutch and brake pedals and linkages used on the 1980 - 86 Ford trucks. All 1980 - 82 trucks used a mechanical clutch linkage since the first use of a hydraulic linkage was for the 1983 F250/350 with either a 6.9L diesel or the 7.5L 460 gas engine. Then, in 1984 everything else, meaning the F150/350 & Bronco, got a hydraulic linkage. The hydraulic linkage seems to be pretty robust, save for the problem of the firewalls cracking - keep reading. 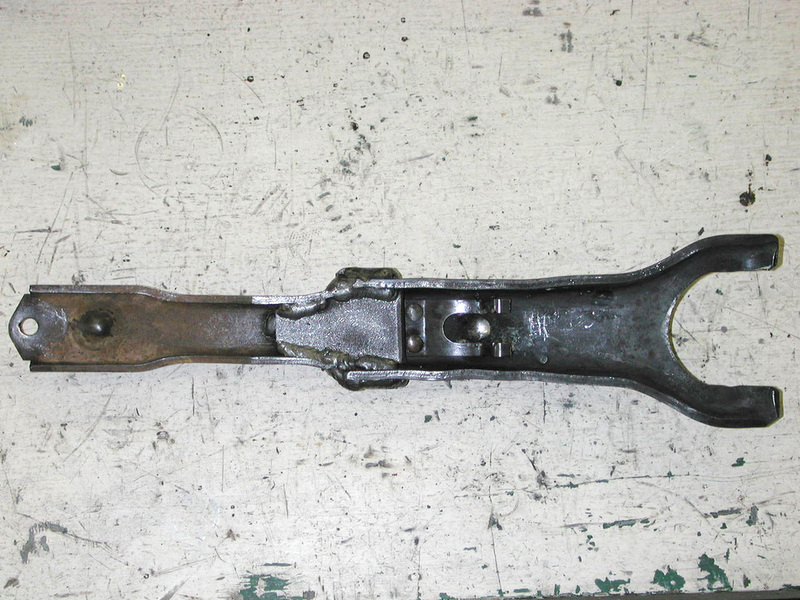 But the mechanical linkage seems to always be badly worn by this time. 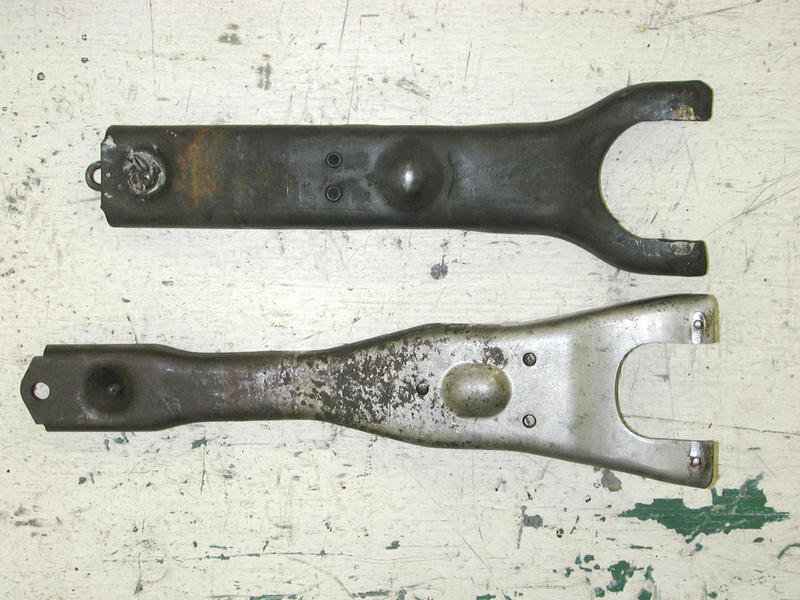 And I can only think of two approaches to resolve that problem - repair the linkage or replace it with the hydraulic linkage used in the 1983 and later trucks. 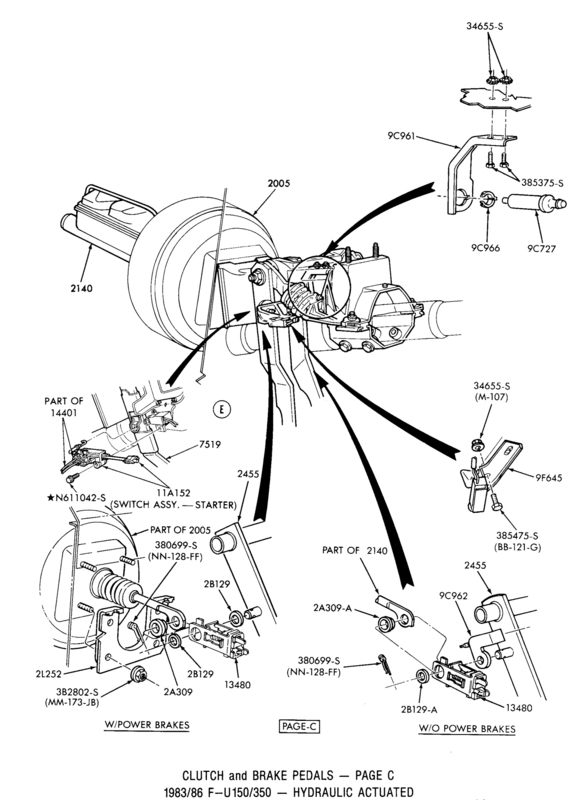 And while the latter would seem to be the cleanest solution, it isn't without its problems, the major one of which is the firewall as it wasn't designed for the forces it sees with a hydraulic linkage. 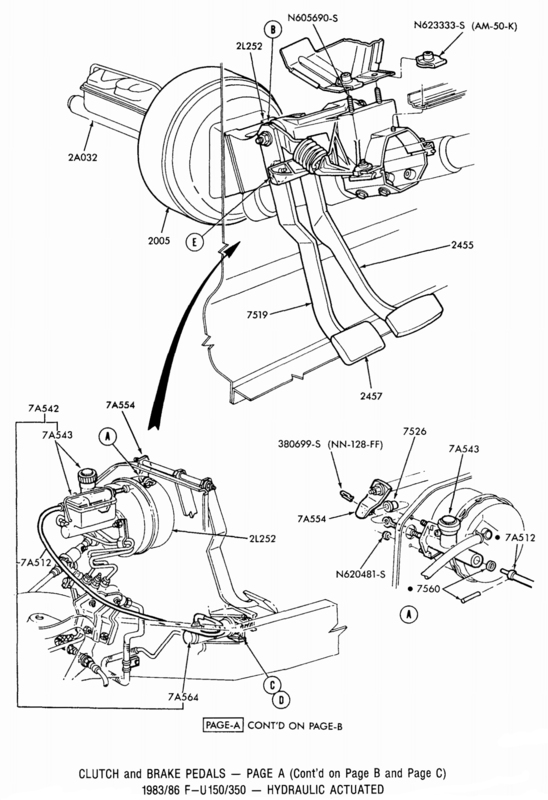 With a mechanical linkage the firewall sees up/down forces when you depress the clutch pedal as the linkage runs almost straight down from the clutch pedal's arm to the Z-bar - as shown below. And, in that plane the firewall is quite stiff. 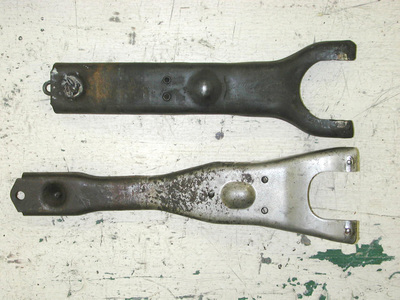 However, the forces seen by the firewall when using a hydraulic linkage are in/out, and in that plane the firewall isn't as strong. 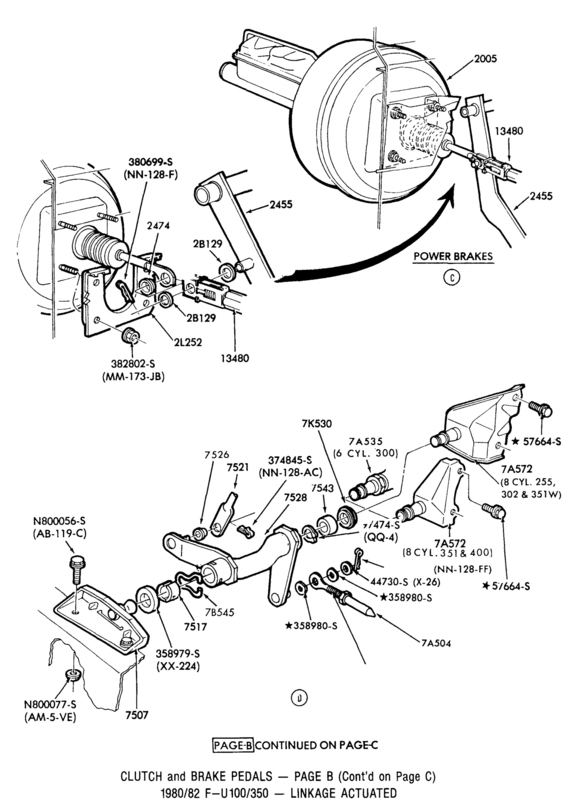 In fact, Ford put out a TSB on this for all 1984 and later trucks as several of the firewalls cracked and the clutches wouldn't release all the way. 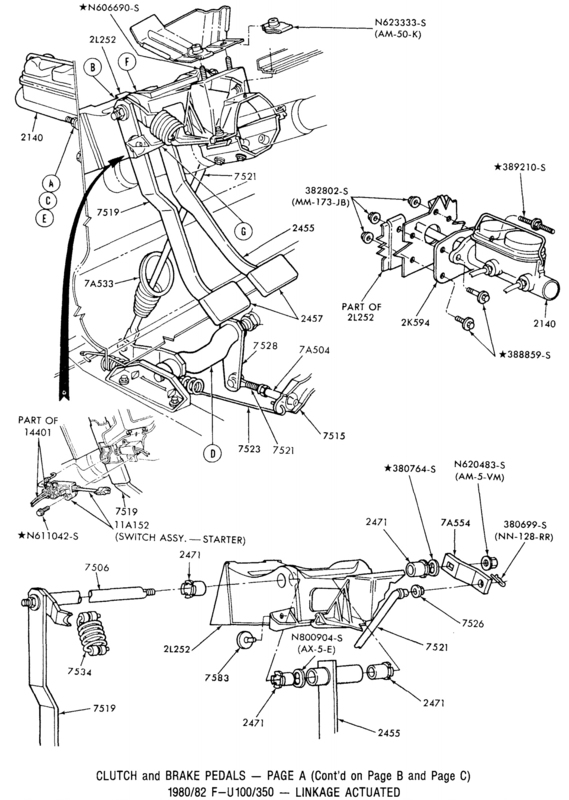 The fix was to install a brace that stiffens the firewall significantly, and Ford had two different braces, as shown on the Hydraulic/Parts List tab: E3TZ 7K509-A for minimal flex; and E3TZ 7K509-B for "severely damaged" firewalls. 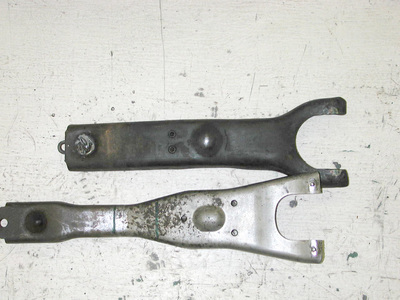 A brace of some kind really should be added if one is converting from a mechanical linkage to hydraulic. Unfortunately the Ford braces are no longer readily available. Fortunately Terrapin Manufacturing is making a brace. 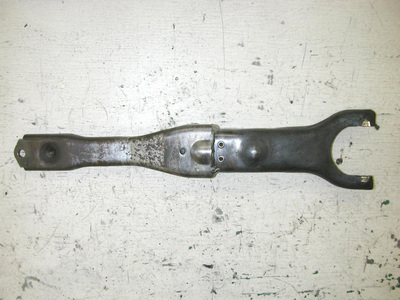 As for rebuilding the mechanical linkage, you will probably find many of the joints badly worn. And parts aren't readily available. So, what I did was to weld up the worn parts and either drill out the holes or grind down the parts that needed to be round. And, I used oilite bushings to replace the plastic ones that came out of the factory. All of that is described in this thread on FTE, and it worked well for the several thousand miles I drove Dad's truck before tearing it down for restoration. 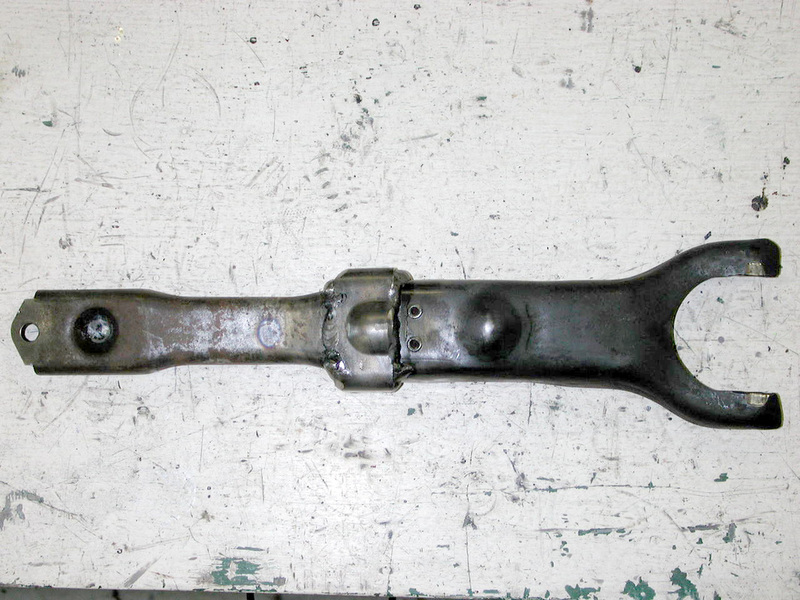 But, what if you really, really want to run mechanical linkage with a transmission that only came with a hydraulic throwout arm? Marry the two. Here are some shots of how I did it and got 1.41:1 leverage, which helped dramatically. 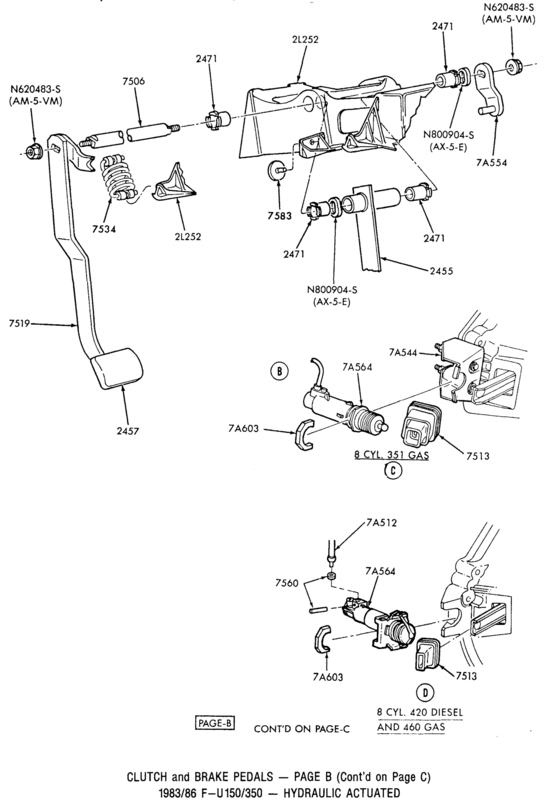 However, don't think that is going to solve all your problems as that will put the release arm at a severe angle, so go read what I did about that on Dad's Truck Build thread on FTE here and here. In addition, the steel used in these arms is HARD. After two minutes in my band saw with a new bi-metal blade there was barely as scratch. So, I had to cut them with the plasma cutter.